The sewing operators accomplish the real job of apparel manufacturing. All the other people do the auxiliary works. Operators must know what they must perform and what level of performance; skill and workmanship are required from them. So, a job description in writing must be provided to the sewing machine operator. If sewing machine operator is illiterate each point of the job description must be described to him so that he takes the job seriously and can accomplish it as desired. Sewing machine operator will come to the floor in time & shall clean machine, workplace etc. He will check 7 ensure that his workstation is in right order. He will seek necessary instruction from here supervisor regarding his job. He will seek mock up sample from her supervisors so that he can understand the job. He will check the mock up sample so as to understand the sewing technique & the level of quality. He will check with the supervisor regarding his hourly & daily production target. If he does not understand any point regarding sewing or quality, he will seek elaboration from supervisor. Sewing machine operator will ensure measurements of apparel as per work order sheet or apparel specification sheet. He will ensure necessary seam allowances as per instruction. He will perform his job with utmost care so that no reject or defect occurs. He will handle apparel parts with care so that they do not spoil or stain. He will take care in handling bundles and parts in them so that they do not mix-up. He must see that he accomplishes his target. If there is any bottleneck, he will discuss with the supervisor & take countermeasures. He will check needle from time to time to ensure that it is not blunt or broken. He will take care that there is no under sewing thread tension. Sewing machine operator will ensure that stitch per inch (SPI) is correct. He will clean his sewing machine from time to time. He will take care of his machine. He will ensure that the designated machine cleans the machine, oils it, & takes care of it. He will continuously check if her work is compatible with the quality & quantity desired. 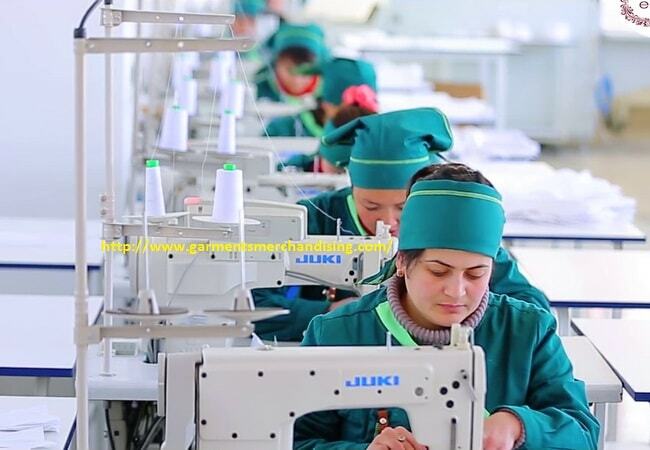 He will discuss with the supervisor & senior operators about sewing problems or sewing defects and sewing techniques. He will ensure that his machine is equipped with eye guard or needle guard or puller cover. He will get trained on using firefighting equipment & how to face an accident. He will use mask all the time to offset micro dust. He will use hand gloves and scarf. Sewing machine operator will not panic at the time of hazard or fire disaster.